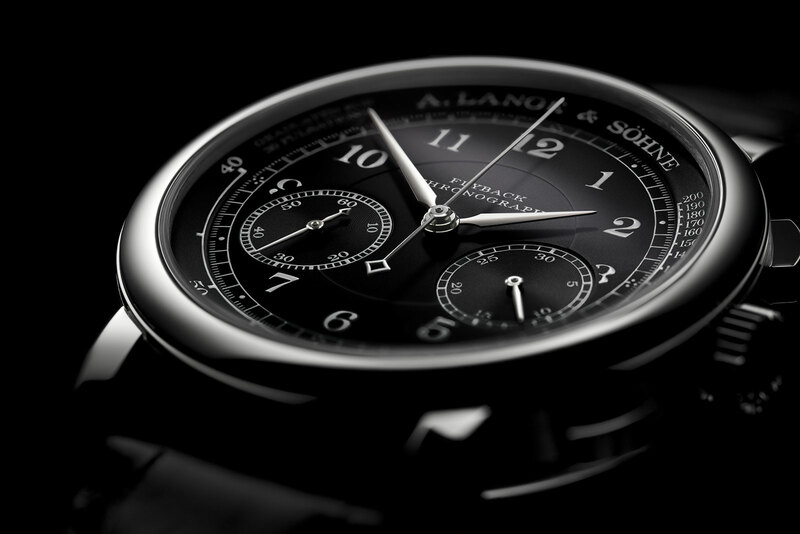 The famous German luxury watchmaker A.Lange & Söhne introduced a new version of its pulsometer 1815 Chronograph, which was issued as a boutique edition in 2015, featuring a jet black dial accompanied by an 18K white gold case. 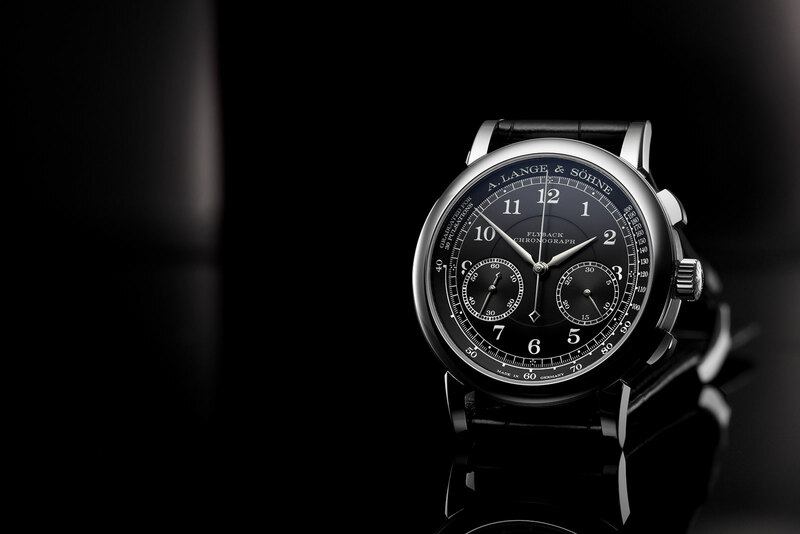 A.Lange & Söhne, known as one of the most important German brands in the watch industry, has added a new version of the 1815 Chronograph model. The new is highly claimed with its black dial and rhodium treated accents which are known as the signature details of the brand. 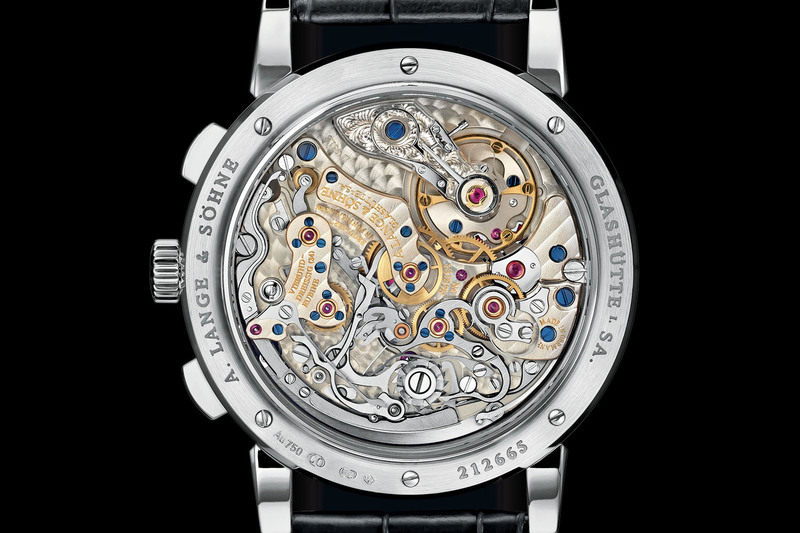 When it gets to A. Lange & Söhne, the first models that come to mind are the Zeitwerk and Datograph. Those models, which beautifully reflect the characteristic design concept of the German brand, are already considered as iconic timepieces. The 1815 Chronograph, which is one of the models that bears the traditional lines of the brand, attracts the attention of watch aficionados with its sterile looks and relatively affordable price. The new model is presented in a 39mm diameter case made of 18K white gold. The case, which sports anti-glare coated scratch resistant sapphire crystals on both sides, is water resistant to 30 meters. With a total height of 11mm (due to the lack of extra features like a date display and/or a power reserve indicator), the case has a very compact size in terms of thickness. The dial is finished in black. Accompanied with sword hands and Arabic hour markers, the dial is pretty legible thanks to the rhodium treated accents providing a powerful contrast with the black background. The Pulsometric inner bezel allows measuring the pulse rate with a range of 40 to 200. The new model is powered by the brand’s in-house movement Caliber Ref. L951.5. 34 jewels hand-wound movement beats at 18000vph and offers an impressive power reserve of 60 hours (the predecessor offered 36 hours) when fully wound. Featuring a column wheel chronograph module with Flyback function and 1/5 seconds measuring accuracy, the 306 pieces movement can be enjoyed through the sapphire crystal display caseback. 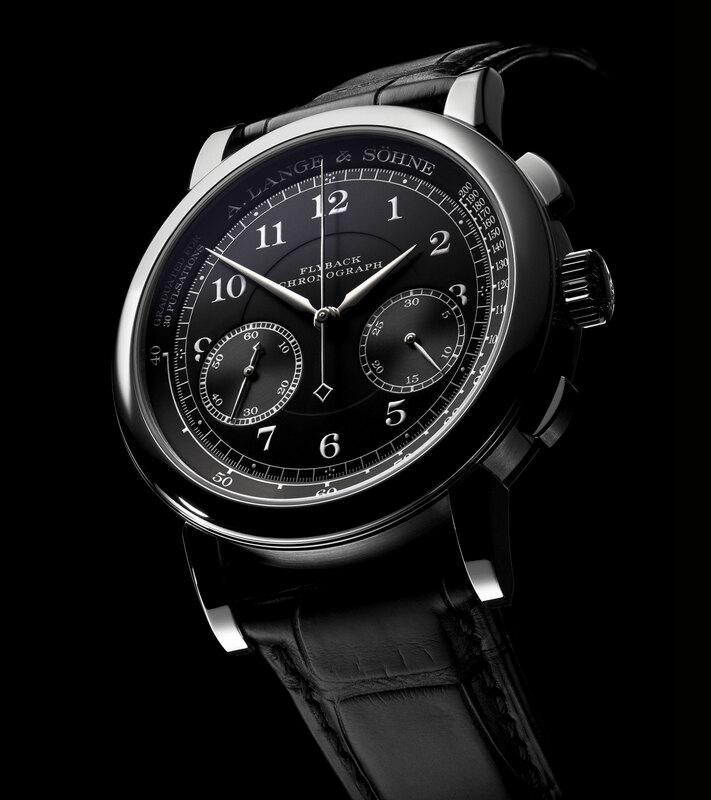 A. Lange & Söhne - 1815 Chronograph Ref. 414.028 model comes with a hand stitched black alligator leather strap. 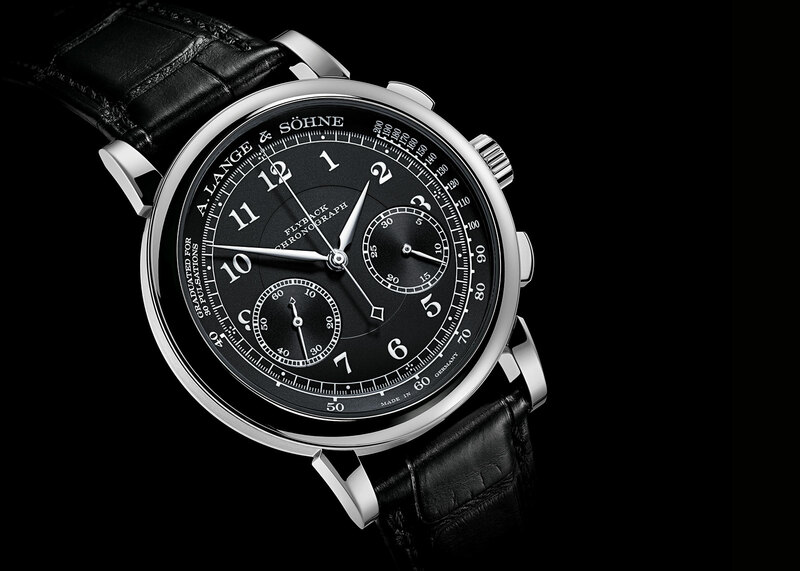 The strap is secured by an A.Lange & Söhne signed prong buckle made of 18K white gold. Unlike the blue and white version of the same, the black dial model is not a boutique-only watch. It is already available at retailers and boutiques with a price tag of EUR 49,000.